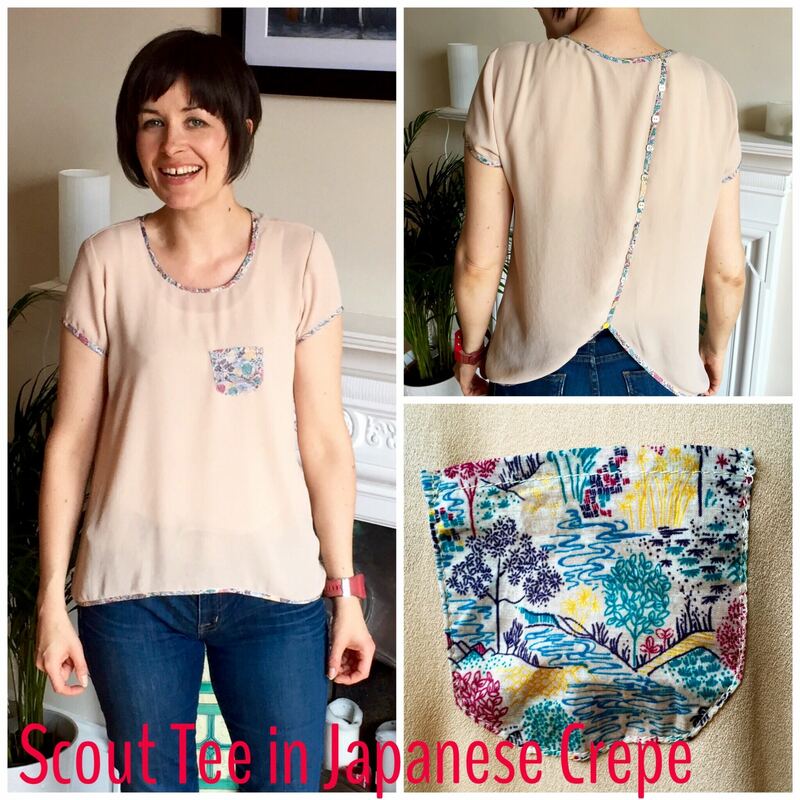 This time I used a gorgeous Japanese Crepe bought from The Cloth House in London. I LOVED this fabric on sight and bought it on a whim with no real idea of what it might become until I had a play with the Scout pattern. I really like the way the split back detail worked on version one so decided to use it again. 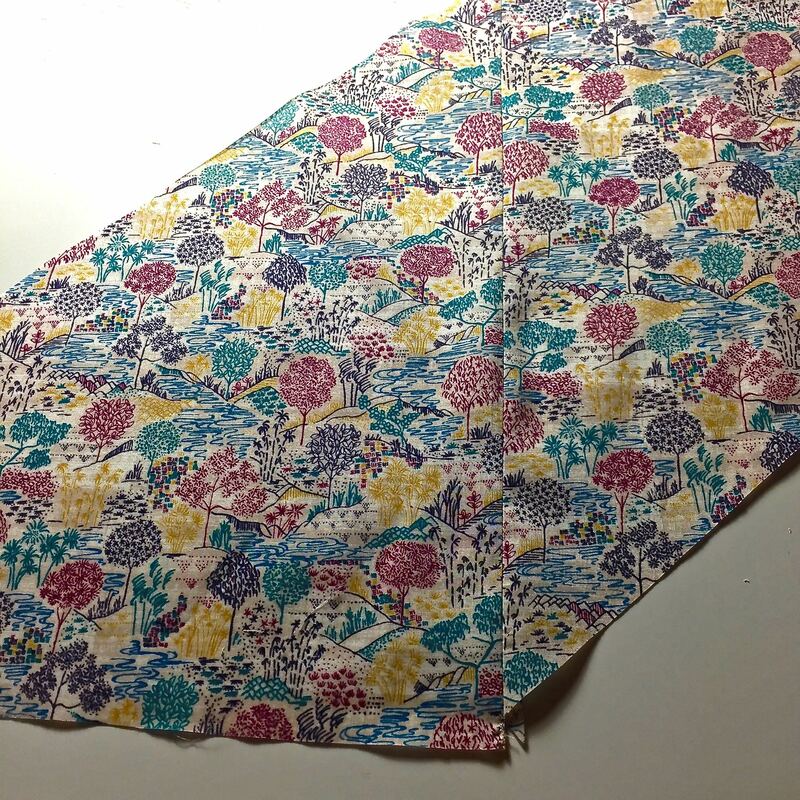 I found a wee bit of this lovely Liberty Tana Lawn to use as bias binding. 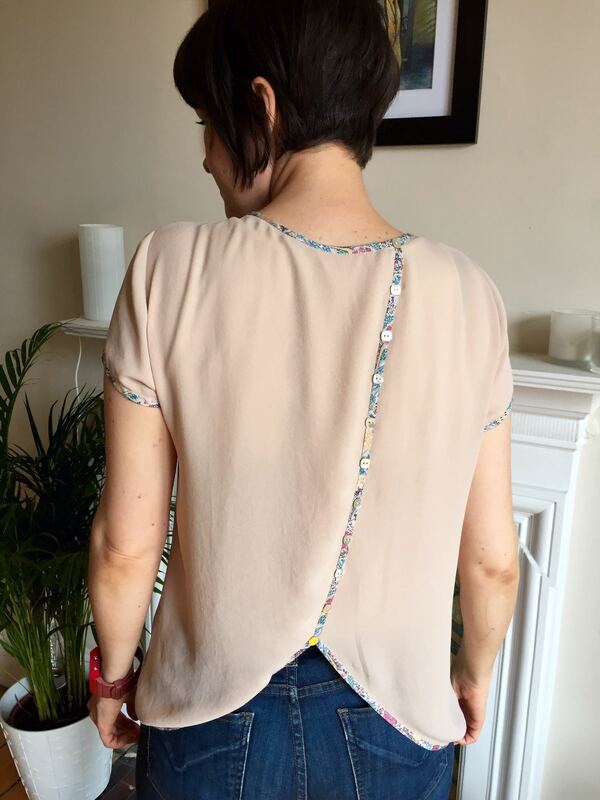 It’s the same print that I used to make my Colette Laurel but in a different colourway. 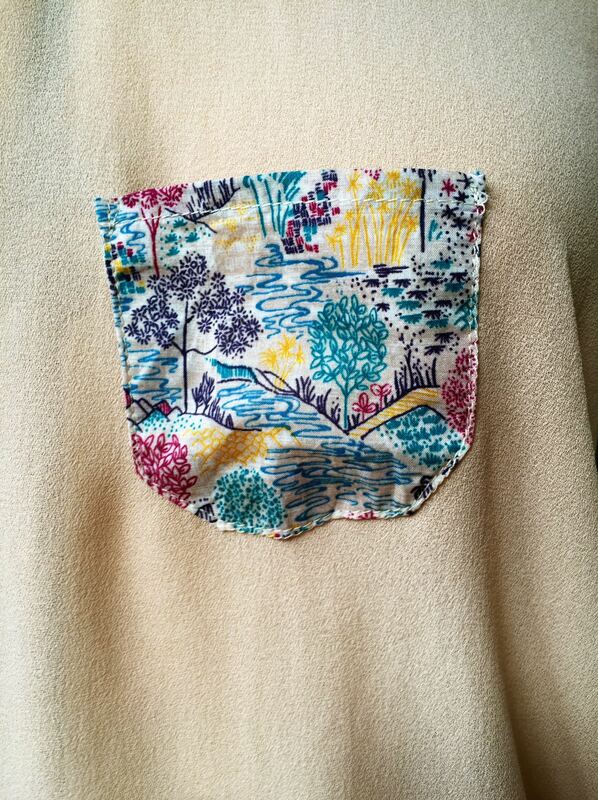 I used a combination of French seams and a three thread overlock on the insides. The construction process was pretty much the same as the first version except that I basted the two back pieces together at split and neck opening first. This was mostly because the fabric was on the tricky side to work with and I don’t want these pieces moving out of place during the construction process. With hindsight some spray starch after cutting would have probably made life a bit easier. 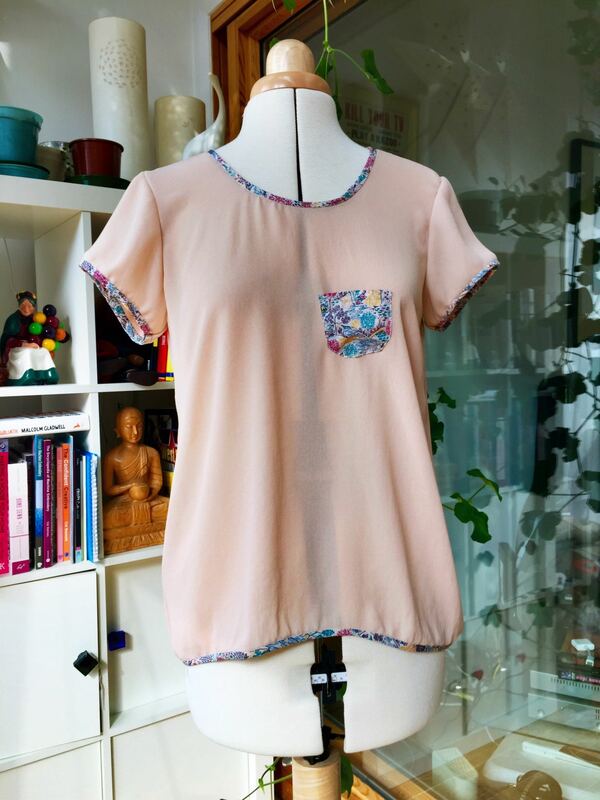 I added a pocket to the front (it’s the one from the Grainline Tiny Pocket Tank) in the Tana Lawn. 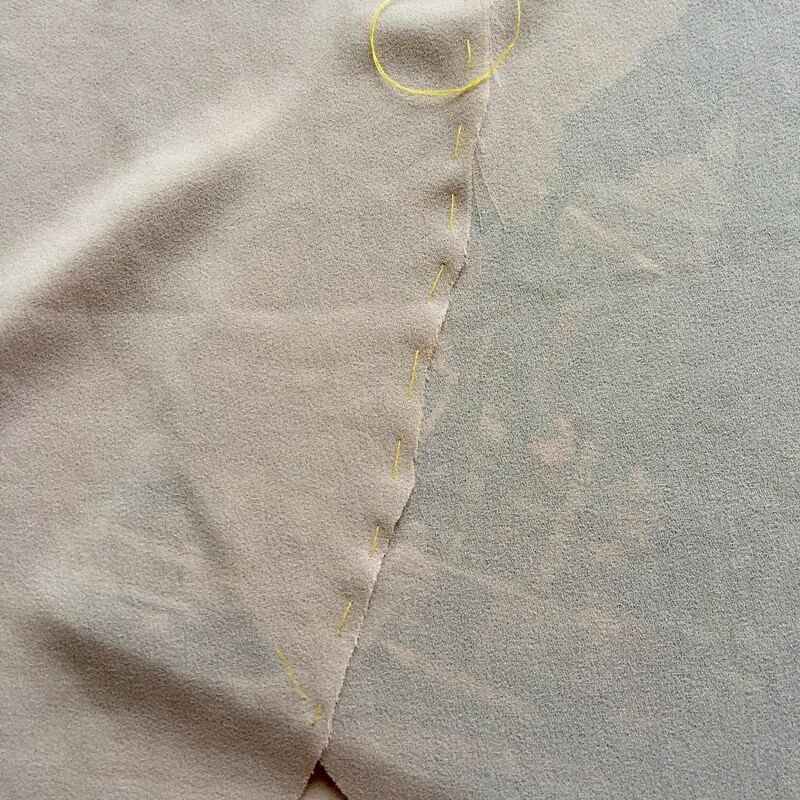 Then it was bias binding all round. 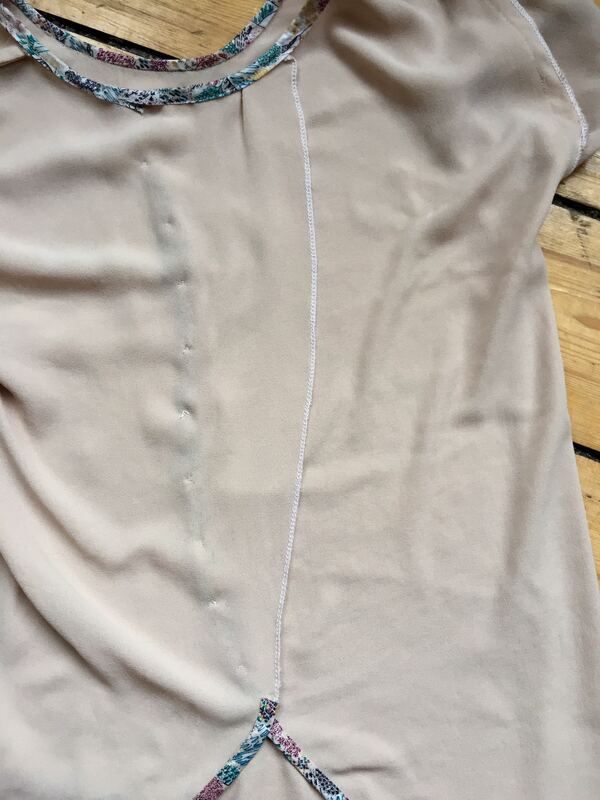 I stopped it just under the overlap at the bottom of the split back because the material is quite sheer and I didn’t want it to show through on the outside so I just overlocked the rest of the edge. 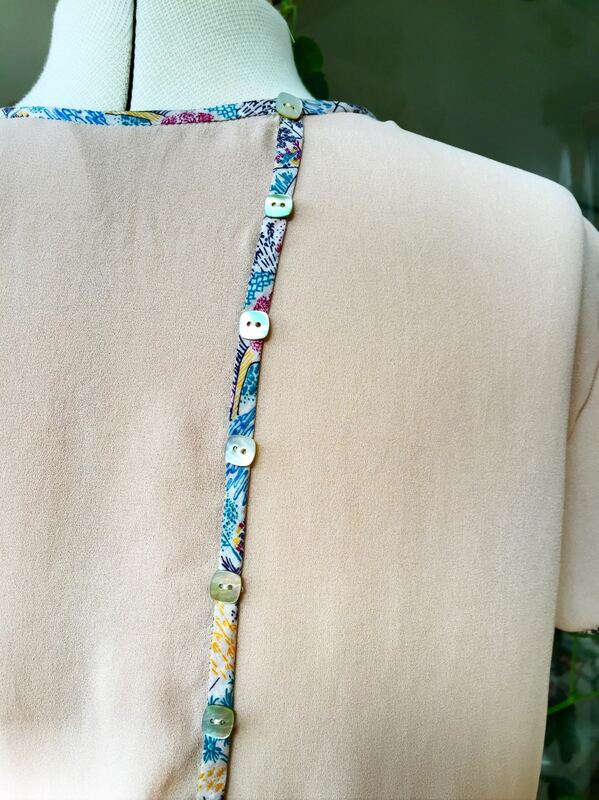 I used ten little square shell buttons down the back split with one bright yellow one at the bottom. 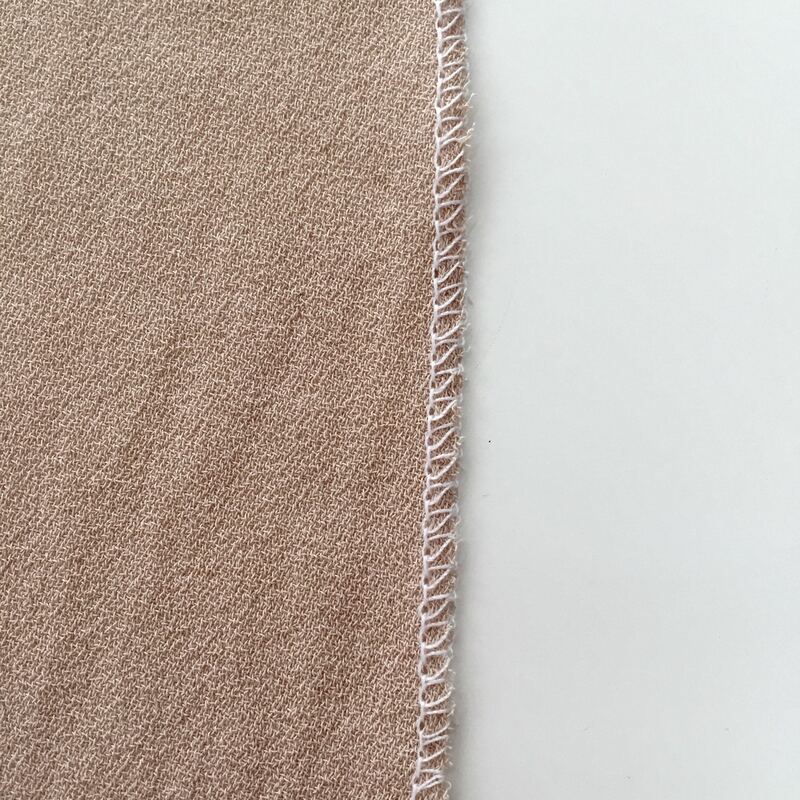 It’s not completely perfect which I’m putting down to my inexperience working with this type of fabric but I’m really happy with my Scout v2…Scout v3 is likely not that far away. This is such a brilliant pattern to play with!